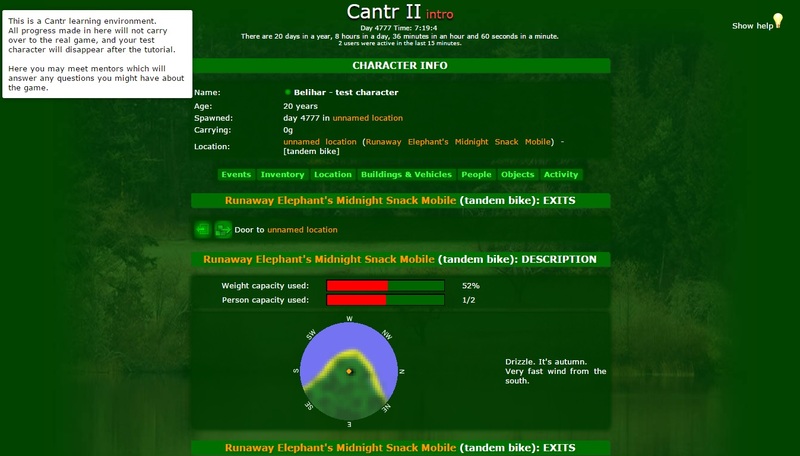 Cantr II is a free simulation RPG. Create two characters and select character’s name, gender and language for both characters. You could read about most important events, search for other players and talk to them. Enter the location section to gather material: dig stones, collect wood or farm potatoes. Keep an eye on your various vehicles and facilities. You start the game with a tutorial and a test character. Once you’ve learned all the basics you can enter the real Cantr II. Najlepsza gra, pozwalająca myśleć. Daje dużo swobody. 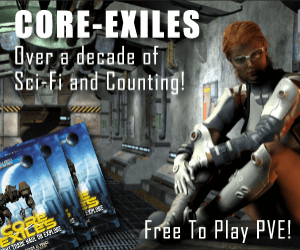 Game run by players – ie. some players are also the game masters, and if they and their buddies don’t like you, well, you get some nice ‘requests’ on you character screen from these admins. They are judge, jury etc. all in one. Its like they want it to fail by breaking it down from within by chasing long-standing players away, so the server can finally close. Might be a good thing, to have it die and be reborn into something better. Though stay away. Don’t waste 5years of your life on this like I have.